One of the hottest selling tricks of the late eighties is back and it's made better than everfor the new generation of close-up enthusiasts! A stack of windowed envelopes is placed in plain view. 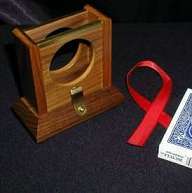 A freely selected playing card is signed and retunred to the deck. 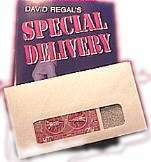 The spectator looks through the stack of window envelopes until a card is seen inside on of them. Inside is the signed selection. The appearance of the cardinside the envelope is visually perfect. You will fool yourself. A totally different card trick! Magician shows a deck of cards that arecut in half diagonally. He then writes a prediction on a piece of paperand has two spectators each select half a card. When both halves are put together not only do the halves match but they also match the prediction. Four cards are shown to each have a large star on the front and back. 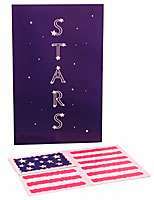 One of them then magically changes to a card covered with many stars! The remaining three cards then also change to cards with red stripes, and when the four are put together they form an American flag! 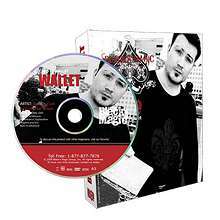 A card is turned face up and placed back on the pack. Suddenly the card starts floating out towards the audience away from the deck. It just looks like it is FLOATING in space, but its just the static-charge! The cards then slowly floats back onto the deck. NO Threads! Long off the market, the Val Evans STOP TRICK has been considered one of the classics in card-control effects. Made by Viking in select hardwood with brass accents to compliment any discriminating program. The performer offers to demonstrate how he became so dexterous as a magician by revealing an exercise called "Dead Cutting." The purpose of the exercise is to practice cutting an exact number of cards clean off the top of the pack. The magician demonstrates by succeeding at cutting exactly 12 cards off the top. The Princess Card Trick? Not quite! Five cards are removed from an envelope. A spectator is asked to think of any one. Instantly, the thought of card vanishes from the spread and is removed from the envelope, which has been in full view on the table throughout! The classic Game of "3-Card Monte" with many surprises! Three cards are shown: two black tens, and a queen of hearts. The spectator is asked to "find the lady," but that's not possible, for now the performer holds three black tens - the queen is found inside the magician's pocket! This is Barrie's favorite mind-reading effect using a deck of cards. A person thinks of a card, and the performer discovers its identity in a dramatic fashion. 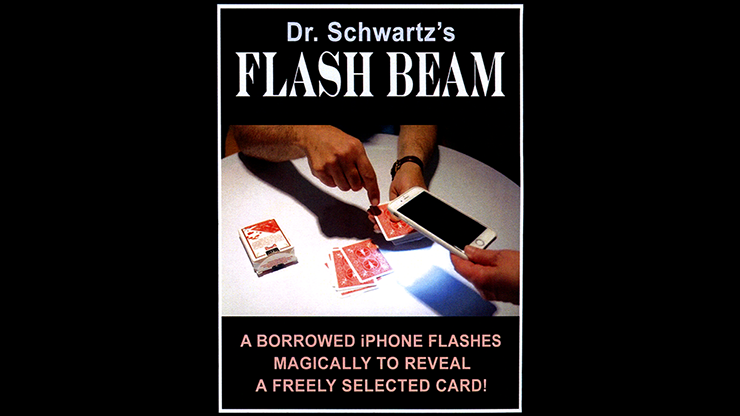 What makes this demonstration different from other card discoveries is that it can be done with a borrowed deck without any handling of the cards by the performer. 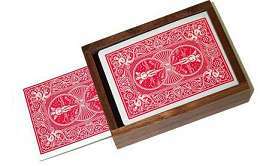 A deck of cards is shown and they are removed from the box. 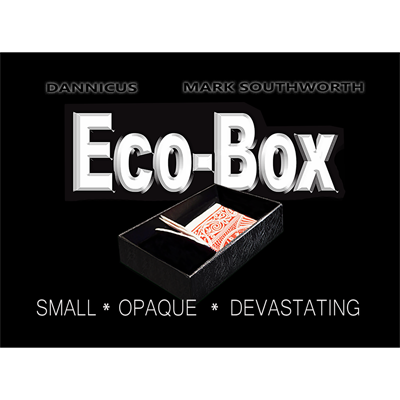 The cardbox is dropped on the table and it immediately shrinks to one fourth of its original size! It's amazing! When the magician notices that he's missing a few cards from his blue-backed deck, a few cards are randomly chosen by a spectator from a red-backed deck and added to the blue deck. When the magician discovers the missing blue-backed cards, they match the red-backed cards chosen by the spectator! A card worker's dream come true! 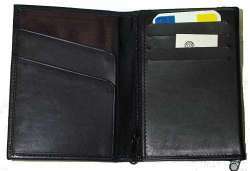 The Ultimate Card Index is just that-simply the best index for the modern card magician. Ultra-thin, but durably constructed, the Ultimate Card Index is specially designed for reliable use in real-world performances. Find the lady...actually the Ace of Spades. No matter how slowly and fairly it is displayed with the two red aces, the Ace of Spades repeatedly vanishes and reappears in the most unlikely places! 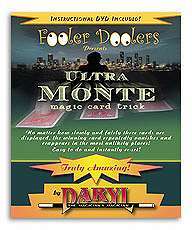 Specially printed on Bicycle cards by the U.S. Playing Card Company. Easy to do and instantly reset. Truly amazing! Eight cards of the same suit and value are shown. You then show one indifferent card, "The Wild Card". One by one each card becomes the same as the WILD CARD!.